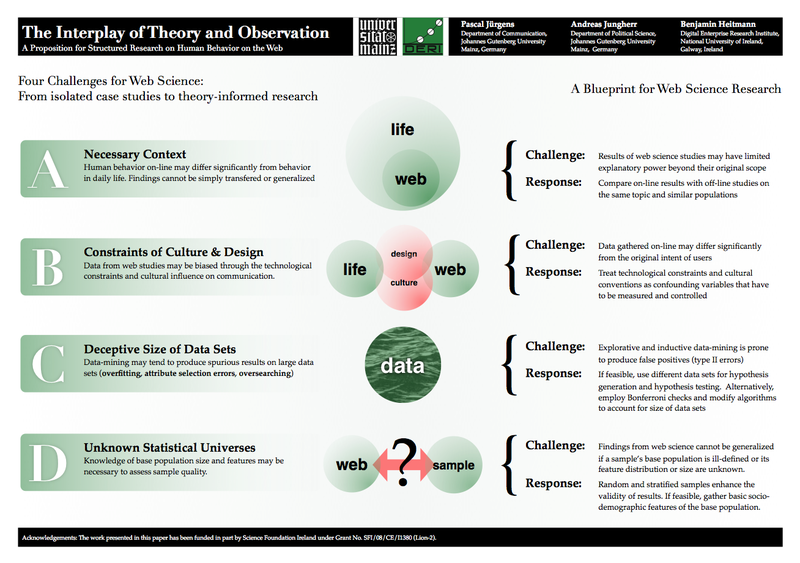 The third trip to the archives leads to the paper The Interplay of Theory and Observation: A Proposition for Structured Research on Human Behavior on the Web which I cowrote with Pascal Jürgens and Benjamin Heitmann in early 2009. The paper makes for a nice change of pace since it’s neither concerned with Twitter nor with agent-based modeling. Instead we used the chance of the first Web Science conference to try our hands in a bit of computational social science methodology. Be it only to escape the claim of our dear friends from the theory department we would only be a group of empiricistic heathens. Have a look at the paper at the online proceedings of the WebSci’09: Society On-Line and judge if we succeeded.